You might think air spring suspension is a recent invention, what with the recent rise in popularity of air ride systems in smaller, hatchback-style vehicles. In actual fact, Air Lift has been producing air ride systems for cars and trucks since 1949. Back in the early 1960s, Air Lift spotted a unique opportunity to use air suspension technology in drag racing to aid traction off the line for the hole shot. The Air Lift tech department worked out that, by using an air spring, racers could pre-load their suspension to use weight transfer to their advantage and improve drag race times. In a time when tire technology left a lot to be desired, you had to innovate to gain valuable tenths of seconds. 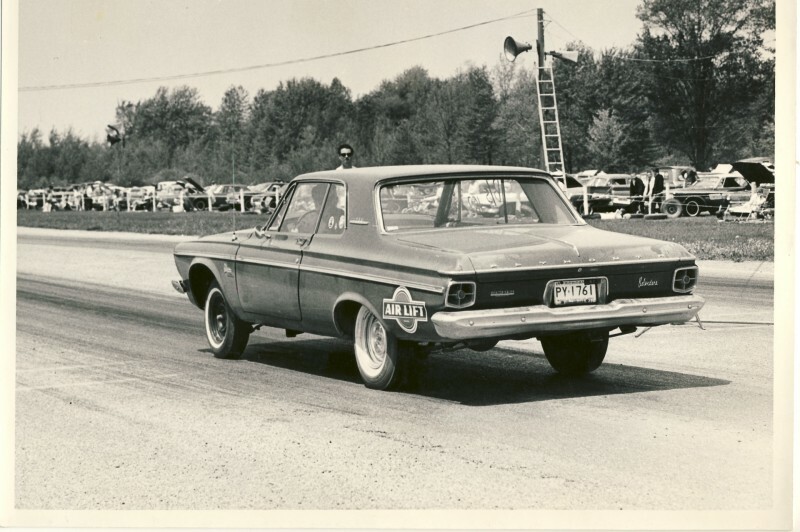 People were already experimenting with gasser stance and altered wheel bases to try and gain traction–the Air Lift ‘drag bags’ were another way to improve drag times without altering the look of the car. Air Lift was heavily involved in the spread of air suspension throughout the drag racing community. Once people saw Air Lift cars winning, it spread like wildfire. 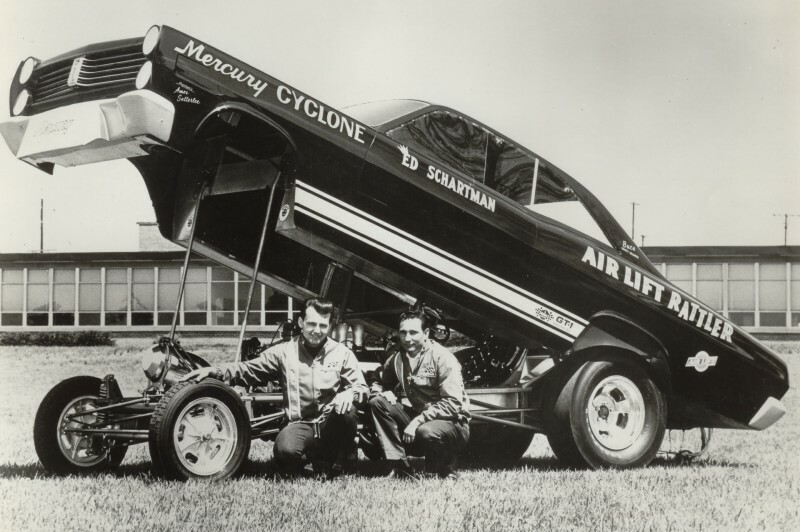 This popularity throughout the sport led to a series of Air-Lift-sponsored, professional drag cars piloted by Ed Schartman. Each of these cars was known as an “Air Lift Rattler” and they were even made into toy cars available to buy at toy stores. 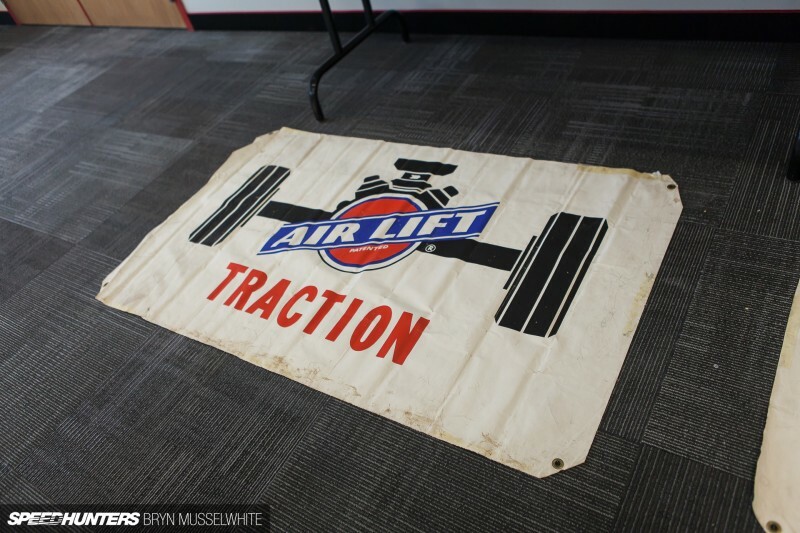 Kids would even come to drag events, looking to get themselves an Air Lift Rattler sticker! 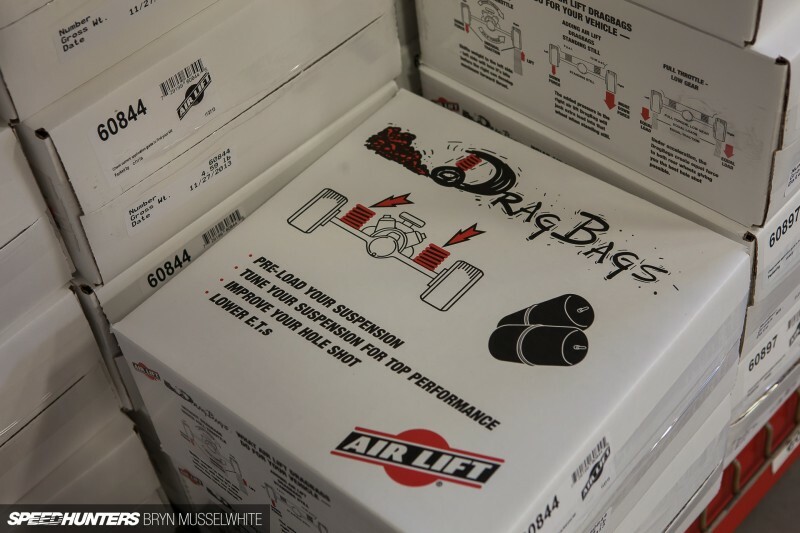 Even today, Air Lift supplies drag racers with Air Lift Drag Bags to improve quarter-mile times. For more on this story, check out the Speedhunters story on Air Lift history by Keith Charvonia here.